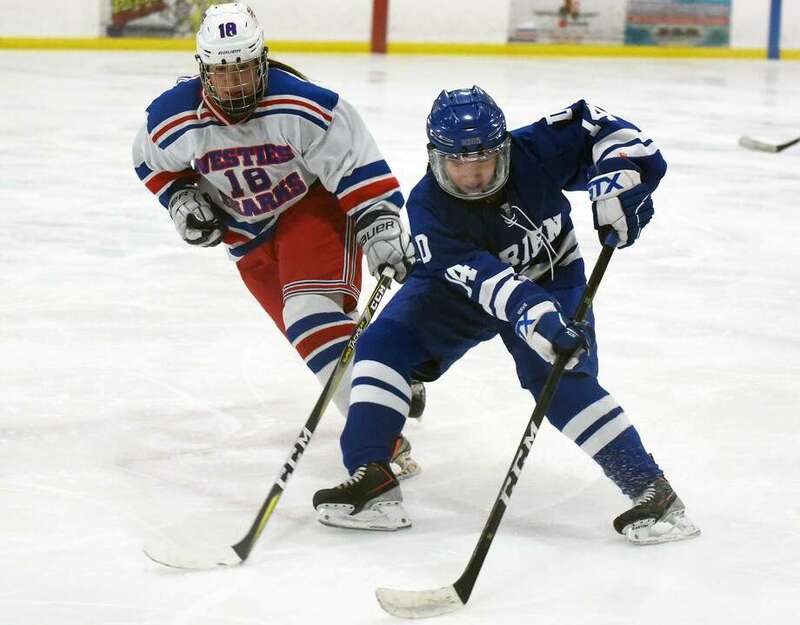 Darien’s Caitlin Chan (14) controls the puck in front of West Haven’s Brooke McNabola (18) during the CHSGHA state semifinals at The Rinks at Shelton on Wednesday, March 6. 1st Period: D Kelly Raymond (Cate Droogan) 1:30; 2nd Period: D — Shea van den Broek (Sarah Hearns, Ceci Stein) 5:38; D — Kit Arrix 0:11; 3rd Period: D — Cate Droogan (Kelly Raymond). Shots: D — 31; W — 14. Saves: D — Hallie Kreppein 14; W — Kyleen Crowe 27.